Sending teenage inmates to adult prisons for minor incidents undermines state’s reform efforts, witnesses say. Those assaults included spitting on, pushing or punching guards. Typically, the cases would have been handled internally, with youths losing privileges, spending time in solitary confinement, or having their sentences extended instead of being charged criminally. They were charged as adults because they had turned 18 while in juvenile custody. 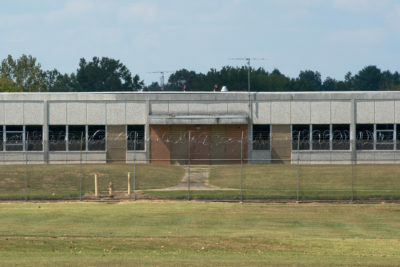 Those who were convicted received sentences in adult prisons that range from three to eight years, meaning they will be convicted felons when they are released. 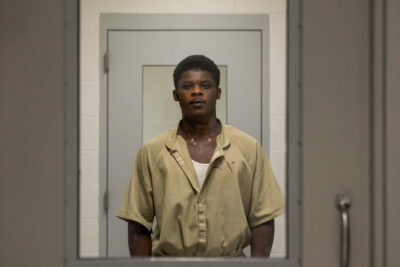 “IYC Harrisburg’s pipeline to prison is undermining DJJ’s reform efforts to rehabilitate youth and increase public safety,” Bankhead told lawmakers. Juvenile justice officials, advocates and a federal judge expressed worry over legal representation for youths. She said she believed guards and other employees were reluctant to adopt reform measures. Rep. Kelly Cassidy, the Chicago Democrat who called the hearing, opened by saying providing a safe environment in which guards and other staff feel respected should not mean sacrificing the security or rehabilitation of those in custody. “I don’t think that any of those things are mutually exclusive,” she said. The juvenile justice department has implemented a number of reforms over the past several years, including eliminating the use of solitary confinement as punishment. Guards say some of those reforms have left them without the tools they need to do their jobs effectively. Anne Irving, the director of public policy with AFSCME Council 31, the union that represents correctional officers at the juvenile facility in Harrisburg and across the state, said at Tuesday’s hearing that the policy changes have created safety challenges for her members and resulted in a significant rise in violence and assaults. Several speakers referenced the ban on the use of solitary as punishment. Department policies now only allow for its use under limited circumstances. The move away from solitary came as part of a federal consent decree after the American Civil Liberties Union of Illinois sued the department for not adequately serving or treating the youths in the department’s custody. Two speakers went even further. Julie Biehl, director of the Children and Family Justice Center at Northwestern Pritzker School of Law, and Elizabeth Clarke, president of the Juvenile Justice Initiative, a nonprofit that advocates for youths in the justice system, called for an end to sending youths to large juvenile correctional facilities, which include Harrisburg and a facility in St. Charles. * We are considering creating an online group to continue discussing juvenile justice in Illinois. Let us know in your email if you would be interested in participating. Citing ProPublica Illinois’ article, Clarke said in written testimony that the story revealed “a stunning indication of the failure” to adapt to the reform. Heidi Mueller, director of the juvenile justice department, said there was “no quick fix” to the agency’s issues. “There is no replacement for rolling up our sleeves and digging in and building a safer and healthier climate step by thoughtful, informed step,” she said. Panelists agreed on possible solutions. They included hiring more workers, improving communication between the department and staff, increasing programming for the youths and training for staff, particularly in dealing with youths with mental health issues. Cassidy said she plans to hold additional hearings on the issue in 2018 and to continue monitoring the situation in Harrisburg.